Awesome service! The report was so in depth, to include pictures of the issues, making everything very clear. The staff kept in contact with us the entire time so we always knew what to expect. Friendly, courteous and efficient service! We are so happy that you've found us! We are a professional, purpose-driven, full-service auto repair facility located in Edgewater, MD. We pursue excellence in everything we do and strive to deliver an experience that always puts the customer first. We are passionate about this industry and believe education and transparency are paramount when dealing with auto repair. Your vehicle is like the inanimate pet of your household. You rely on your ride for so many things during your busy schedule that we tend to take it for granted. When things go wrong with your vehicle, it can be a very stressful situation. We're here to relieve that pressure. Our philosophy is all about preventative maintenance so we can avoid the unexpected breakdowns as much as possible. It's about being proactive instead of reactive when it comes to maintaining your automobile. We're here to relieve the stress and to make your auto repair and maintenance experience as hassle free and as enjoyable as possible! 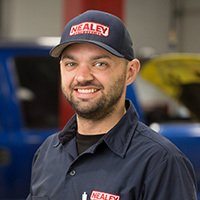 AJ started Nealey Auto Service from a little one bay garage behind his house in 2011. He's been in the automotive repair industry for over 15 years. 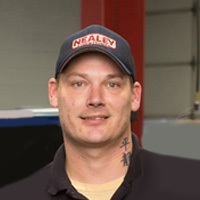 He is currently an ASE Certified Master Technician with L1 Advanced Driveability certification. He is also a Maryland Certified Emissions Repair Technician. AJ's hobbies include power boating AND sailing, scuba diving and nosing whiskys. You may not see him get his hands dirty anymore as his current roles as owner is to focus on managing, marketing, networking and occasional shuttle driver for our awesome customers! Stephanie joined the team as soon as she married AJ in 2014. Originally from Arizona and living in Long Beach, CA when she met AJ, she moved all the way across the country to settle in Edgewater, MD. She brings some incredible talents to the team. Everyone at the shop calls her "HR" (Human Resources). You also may not see her often in the shop as she is constantly working on the administrative duties including book keeping, tracking parts and inventory, payroll and writing thank you cards to our incredible customers! Her hobbies include knitting, boating, camping, listening to country music and wine! 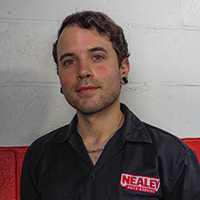 Jason is one of our first hires here at Nealey Auto Service. He joined the team in August of 2016. He has grown tremendously as a person and a technician. 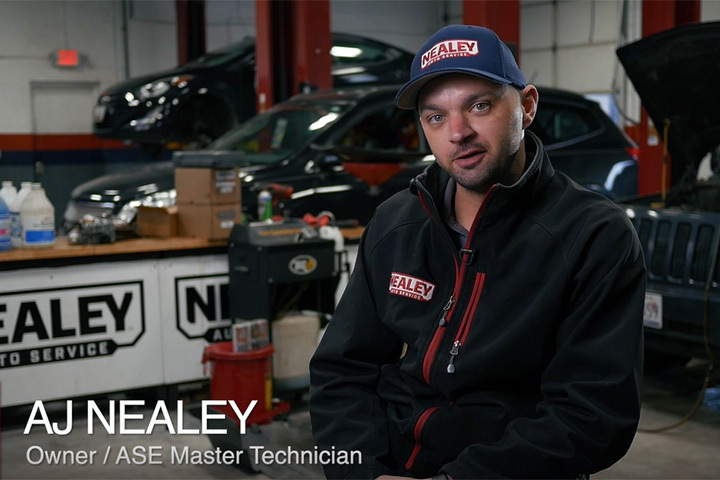 He recently received his 8th ASE certification making him an ASE Certified Master Technician. His hobbies include spending time with his kids, hunting, fishing and 4 wheeling. 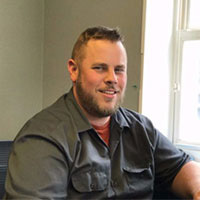 Michael joined the team in November of 2016. 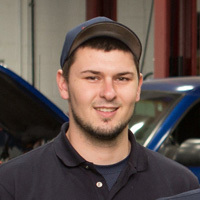 He is a young but extremely talented ASE Certified technician who is also one of our Maryland State Inspectors. He is a sponge for information and is constantly eager to learn and improve his craft. His hobbies include spending time with his kids. Kenny joined our awesome team in May of 2017. He is one of our super talented service advisors. He has been in the automotive industry for over 15 years. He thoroughly enjoys taking care of our awesome customers. His hobbies include spending time at the beach, kayaking and spending time with his family. 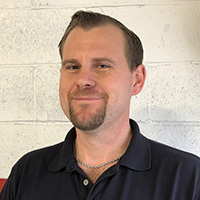 Scott joined our team in September of 2017. 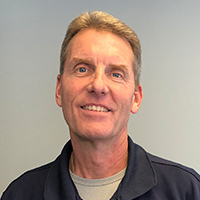 He joined us with over 30 years of experience in the automotive industry and is one of our awesome service advisors. His hobbies include fishing, fishing and fishing! He recently spent an entire month in Florida fishing all over the gulf coast! Tim is our newest member of the team and joined us in January of 2018. He is an extremely talented ASE Certified technician who is also one of our Maryland State Inspectors. He has been working in the automotive industry for over 20 years. His hobbies include spending time with his family and farming. Ready for new tires? We can procure, mount and balance tires all within one day! TPMS light on and adding air doesn't turn it off? We can take care of that too! Check engine light on? Any other weird amber colored light illuminated in your dash? Vehicle hesitating and not running like it used to? Well, we can diagnose and repair any and all of these issues! Is your air conditioning not functioning like it should? We've invested in the proper tooling to remedy all of your HVAC needs! Whether your engine or transmission needs replacement, or it's time for that timing belt/water pump service, we can take care of any and all automotive repairs! Let us know how we can help you. Request an online aappointment using the form below.